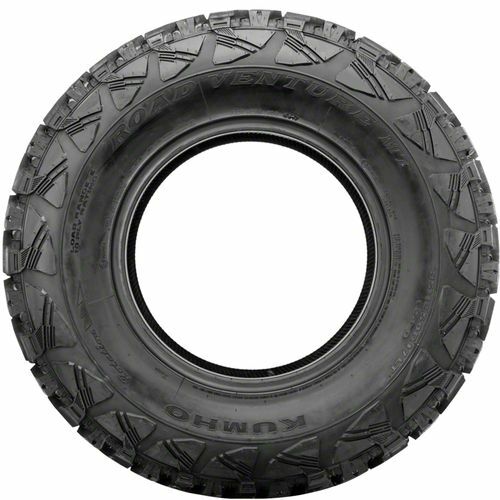 The Kumho Road Venture MT KL71 is an off-road maximum traction tire specially developed for drivers who are looking for aggressive off-road performance, superior traction, and on-road appeal. Ideal for light trucks, pickup trucks, sports utility vehicles, and 4x4 jeeps, the Kumho Road Venture MT KL71 gives you the confidence to drive on wild off-road conditions. It features a special tread compound that™s resistance to cuts and chips so you can enjoy a longer tread life even when driving on harsh road conditions. 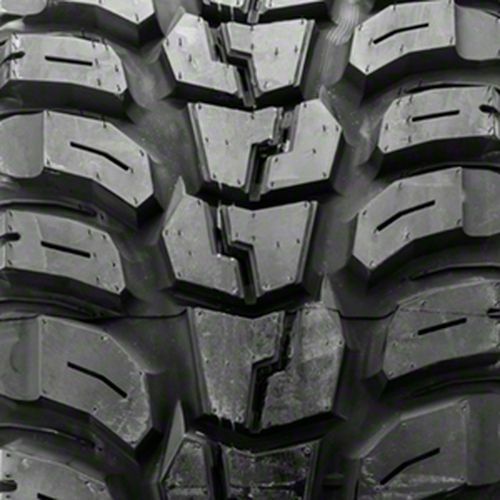 The directional tread pattern consists of packed center blocks, mud/stone ejector bars, aggressive sidewall lugs, and alternating width shoulder logs. These all work together to create biting edges required when driving through trails covered in mud, ruts, and rocks. To get the most out of the Kumho Road Venture MT KL71, it is recommended to use them in sets of four. 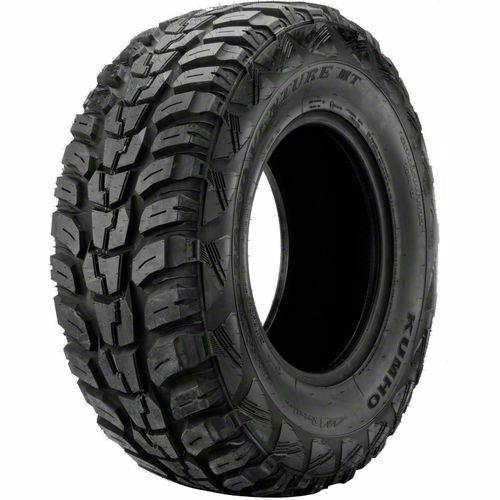 LT245/75R-16 0 3,086 lbs 80 psi 19/32nds N/A 10" N/A 31"
Purchase includes the Kumho Road Venture MT KL71 tire only. The wheel rim shown in the picture is not included. Picture provided is a stock picture from the manufacturer and may or may not reflect the actual product being ordered. All Kumho Road Venture MT KL71 tires are continuously developing with manufactured improvements. With that said, Simple Tire and the manufacturers have the right to change these tire specifications at any time without notice or obligation. Please Note: Specifications of the Kumho Road Venture MT KL71 tires shown above are listed to be as accurate as possible based on the information provided to us by Kumho tires. 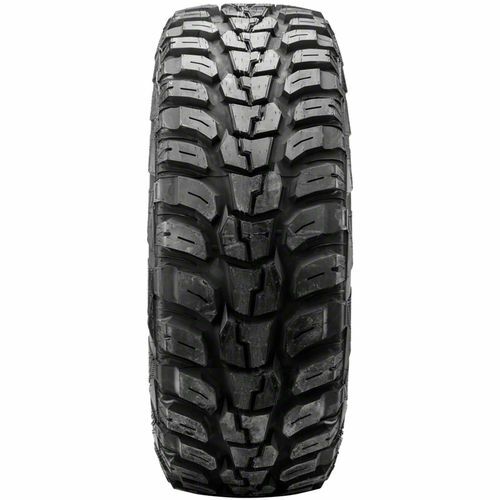 Good tires and great price. Tires are very quiet considering how aggressive the tread pattern is. not sure about tread life as i only have a couple hundred miles on them. bought a set of 2 for winter last year. slapped them on my RWD open diff ranger, worked better than chains. above 35 mph the noise is the same as street tires, and one year of use only wore the tread by 1/32-3/32. just bought another 2 to match. My second set of tires good value and good price better than anyone else. Also very good experience sale people every time I order I can’t see buying any were else By submitting a review, each person received a sweepstakes entry.